Popeye the Sailor Man - Popeye Cardboard Cutout Standup Prop - Dino Rentos Studios, INC.
Popeye is a comic strip and animated cartoon character in the comic strip and T.V. show, "Popeye," created in 1929. 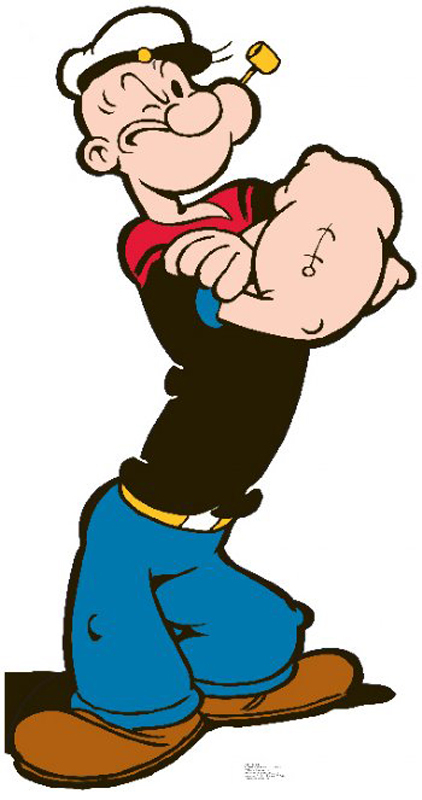 He is the main character and hero who gets his muscles from eating lots of spinach.